I, like many of you, was devastated to hear the verdict Saturday night. As the jury forewoman read the words "not guilty", my mind numbed. Did I really hear what I thought I'd heard? My wife hit the repeat button on the DVR, and yet again, the verdict, stated so quickly and matter of factly, was still "not guilty". And with that, the whole thing was over. Zimmerman was a free man, one with a bright, lucrative future once his inevitable book and movie option deal materialize. And the Martin family was screwed, left to go on without their child, with feelings of justice denied. Like most domesticated Negroes, the thought of going to Best Buy and stealing a few PS3's never crossed my mind. I took my frustations to social media, which is pretty much the 2013 equivalent of rioting. I predicted this would be the medium most used to air their frustrations last week, and (much to the chagrin of media outlets who clearly wanted riots!) was correct. Yesterday, I avoided any form of media (social, print, televised) like the plague. There wasn't anything I needed to hear from anyone to make me feel any better about what had happened. Two days after The Verdict, I'm wondering what we, as Americans, have learned from all this. That black life posseses inferently less value in this country's judicial, educational, and economic systems? I doubt anyone with a functional brain didn't already know this. Did we learn that "it's not what you know, it's what you can prove"? Again, anyone with a decent understanding of the law already knew that. The burden of proof was on the state, not the defense here. And reality is, they simply didn't run a solid enough case. I said so for 4 weeks. The way that the state closed its case gave me some glimmer of hope, but again, if you look at the evidence as submitted via the state, it was clear all along that they simply didn't have enough to convict Zimmerman. 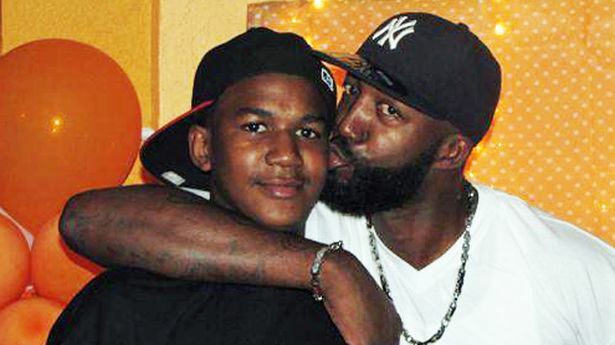 This, of course, doesn't make Zimmerman innocent of wrongdoing. We all know he wouldn't have profiled a similarly attired white teenager. That he shouldn't have gotten out of his car. That he should have identified himself as a neighborhood watchman. That he shouldn't have engaged Martin at all. That he, by virtue of pulling that trigger, is the reason why Martin is dead. We know all of that. I don't know is how to explain this to my children. How to prevent my two sons from meeting the same fate Martin did one rainy Sunday night in Central Florida. I, as a parent, can prepare my kids, teach them to respect autority, explain to them why they need to always be aware that they're being judged by a slightly different set of rules, even when those judging have no recourse for doing so. Just as my father prepared me and my brothers. Just as his father prepared him and his brother. They can do all of that, and still end up dead in the grass, because someone assumed something about his based purely on your appearance. And the man responsible can walk and become a millionaire, why I, as a father, would be left feeling every bit as helpless, angry, and hopeless as I'm certain Tracy Martin does today.